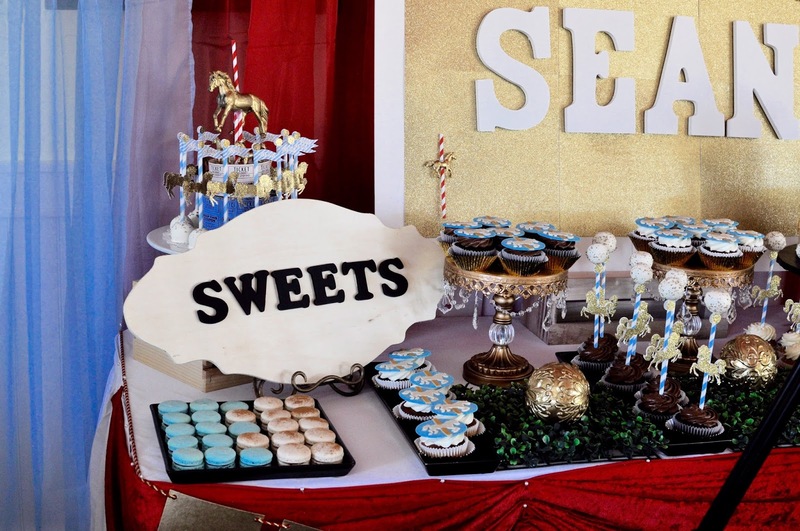 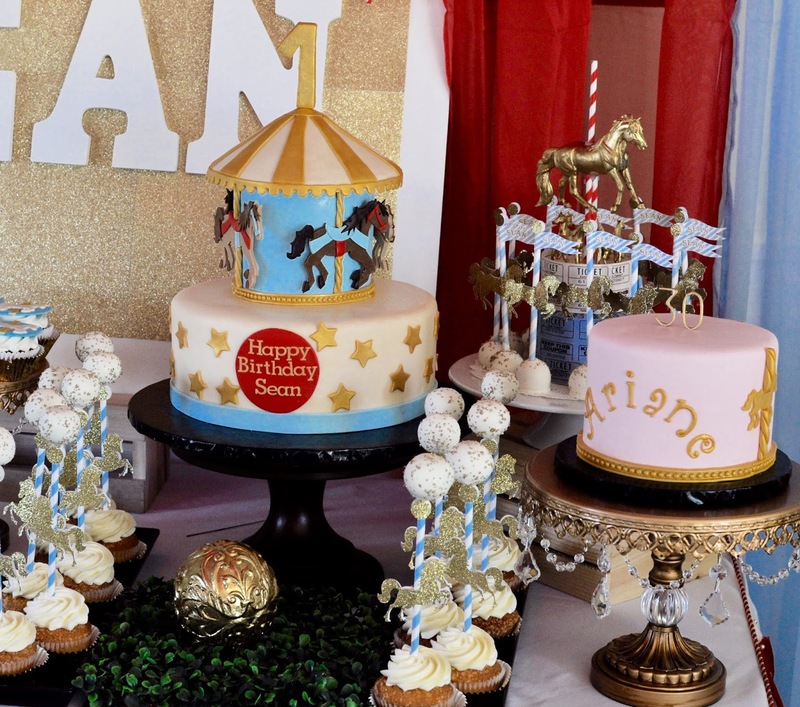 Jennywennycakes: Carousel first birthday party! 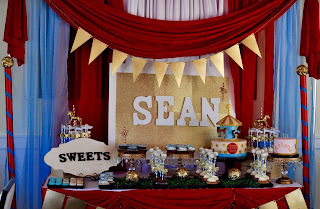 We were recently invited to create lots of fun desserts and cakes for a very special birthday boy. The event took place at a lovely local resort, the Lakehouse Hotel and Resort, a new venue to us, and a lovely place for a small party with a view of San Marcos Lake. The whole place was decorated with a lovely sparkly gold, red and blue color scheme. We also made a small cake for Ariane since she was celebrating her birthday too!